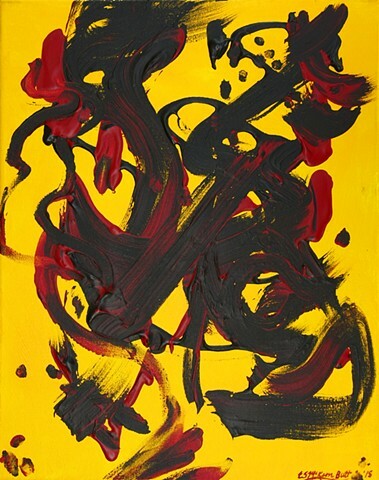 Swirling shapes of bold red and black explode against a bright yellow background in this energetic abstract painting. Dragon evokes the dynamic celebrations of Chinese New Year - you can almost hear the firecrackers and feel the energy! Dragon is wired, and ready to hang (no frame required). Xin nian kuai le and kung hei fat choi! Shipping/Returns: artwork will be sent packed and insured through UPS (signature required) - continental U.S. only. If you are not fully happy with your new painting, just return it undamaged within 10 days for a full refund of purchase price (return shipping not included).